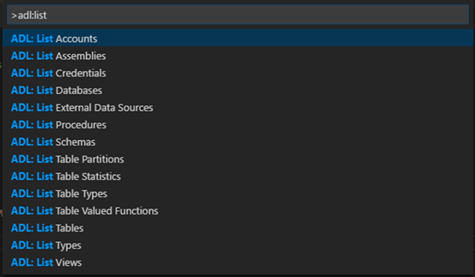 Azure Data Lake Tools for Visual Studio Code (VSCode) gives developers a light but powerful code editor for developing big data queries. 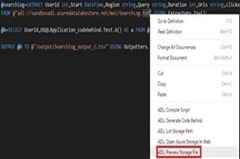 Able to run on Windows, Linux, or MacOS, ADL Tools for VSCode supports integrated authoring of U-SQL and C# to develop scripts that can process any type and size of data. The tools make it easy to extend U-SQL with custom code using local code-behind files or shared assemblies. Code can be directly submitted for execution on Azure Data Lake Analytics (ADLA) service, or run and validated locally. The tooling is also integrated with the Azure Data Lake Storage (ADLS) service allowing developers to browse, preview, and upload files into ADLS. 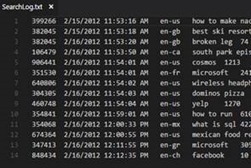 Azure Data Lake Tools for VSCode embrace the U-SQL language service. 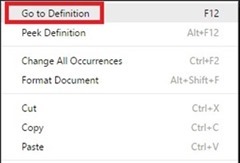 You can enjoy the language service feature such as IntelliSense, Syntax Highlight, Error Marker, Go to Definition, and Auto Format to boost your productivity. You can easily do U-SQL scripting, add assembly reference, and perform U-SQL extensibility through code behind. To improve your get started experiences, ADL: Open Sample Script has been enhanced to facilitate your first time use of the tool and gets you familiar with U-SQL language. Assembly Registration - “ADL: Register Assembly” feature enables you not only quickly register an assembly, but also implement a built-in intelligence to detect dependencies, auto register dependencies, and upload dependencies files when needed. 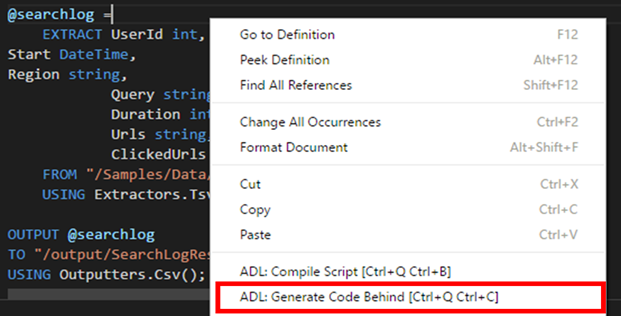 Code Behind - “ADL: Generate Code Behind” feature allows you to create a C# file for custom code development. The tool auto generates code behind and performs the code behind registering and unregistering dynamically during the compile process. 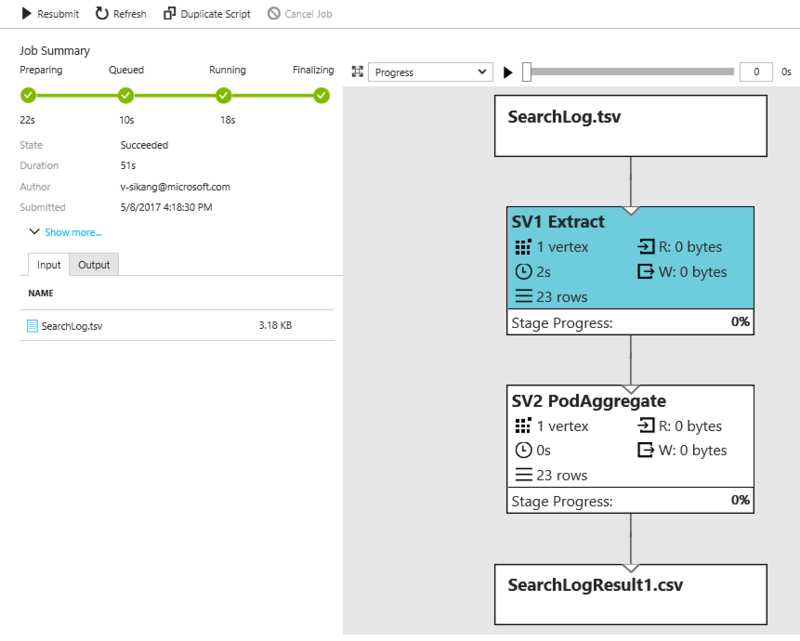 U-SQL local run for windows has been implemented to allow you to perform local run to test your local data, validate your script locally before publishing you production ready code to Azure HDInsight clusters. You can start your local run service, confirm the configurations, and simply submit your U-SQL job to the local run service. The ADL Tools for VSCode integrate well with ADLA. 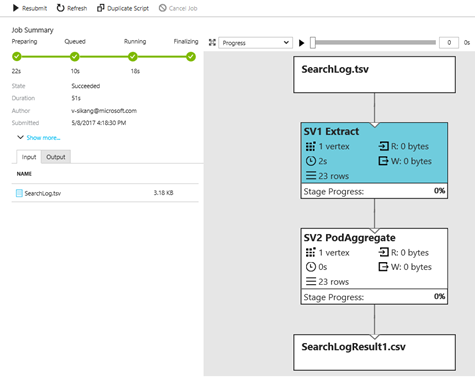 Azure Data Lake includes the capabilities required to make it easy for developers, data scientists, and analysts to store data of any size, shape, and speed, and do all types of processing and analytics across platforms and languages. U-SQL on ADLA offers Job as a Service with the Microsoft invented U-SQL language. Customers do not have to manage deployment of clusters, but can simply submit their jobs to ADLA, an analytics platform managed by Microsoft. 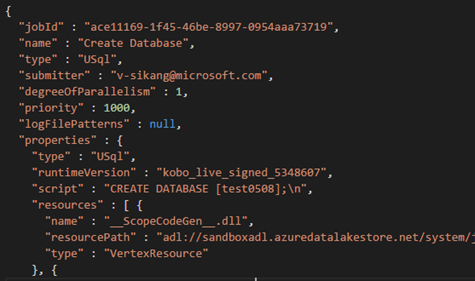 Upon signing into Azure, you can view his/her ADLA Metadata entities through a list of customized VSCode command items. The workflow and steps to navigate through ADLA Metadata based on its hierarchy are managed through a set of command items. The ADL Tools for VSCode allow you to submit the U-SQL job locally or into ADLA. You can either output the job to ADLS or Azure Blob storage based on your needs. The U-SQL compilation and execution can be performed locally or remotely in ADLA. ADL: Show Jobs displays all the jobs submitted under the selected ADLA account. You can view job info and see more details on a job. ADLS integration features to allow you to easily navigate, preview your ADLS resources, and upload your file into ADLS. Use ADL: List ADLS Path to navigate to your ADLS folders, files, and objects. You can do so either through command palette or right click menu next to a file path in USQL. Use ADL: Preview ADLS File to preview your ADLS files. You can do so either through command palette or right click menu next to a file path in USQL. Use ADL: Upload Data to ADLS to upload your files into ADLS. 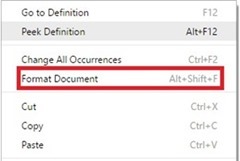 You can do so either through command palette or right click menu within USQL file. First, install Visual Studio Code and download the prerequisite files including JRE 1.8.x, Mono 4.2.x (for Linux and Mac), and .Net Core (for Linux and Mac). 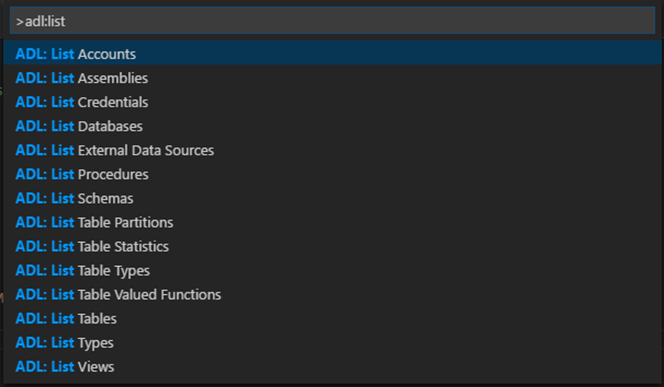 Then get the latest ADL Tools by going to the VSCode Extension repository or VSCode Marketplace and searching “Azure Data Lake Tool for VSCode”. If you have questions, please don’t hesitate to contact us at: Azure Data Lake Dev. Tooling Team adldevtool@microsoft.com.